Click on the desired merchandise tab on the left side of the screen. Click on the item that you might be interested in to get more information. Use the dropdown box to choose your quantity (if applicable) and then click on the "Buy" button. Click "Keep Shopping" to return to the previous page or another merchandise category on the left side of the screen to repeat steps 1-4. To finish your order click "Checkout" and follow instructions from there. Can I place my order via phone or fax? If you would like to place an order over the phone, please call our friendly Customer Service department at 1-877-450-5077. A representative will be available to assist you between the hours of 9:00 a.m. and 5:00 p.m. Central time. Please have all item numbers as well as billing/shipping information on hand as a reference. We accept Visa, Mastercard, and American Express. If you would prefer to place your order by fax you can do so at any time by faxing the above information to us at 251-450-5078. Please include day and evening phone numbers and an email address in case we need to contact you about your order. What should I do if I have difficulty placing my order online? Should you have problems placing your order on our website please contact our friendly Customer Service department at 1-877-450-5077 and they will be happy to assist you. How quickly are orders processed and shipped? Most orders leave the warehouse within 24-48 hours from the business day when that order is received. There are a few exceptions, such as when there is a problem with your order and we are not able to contact you. Also during peak season, December-March, orders may take up to 3 business days to be shipped. If you need your order more quickly than that please call our friendly Customer Service department at 1-877-450-5077. We accept Visa, Mastercard, and American Express for online, phone, and fax orders. If you wish to pay by check or COD then please call our Customer Service department at 1-877-450-5077. We exclusively use UPS as our shipping partner. We offer UPS Ground, Three-Day Select, 2nd Day Air, 2nd Day Air A.M., Next Day Air, Next Day Air Early A.M., and Next Day Air Saver. Shipping is based on the actual rates. This depends on how much the package weighs and where it is going. Our website provides an actual shipping rate on orders less than 200 lbs. If your order is more than 200 lbs. please contact our Customer Service Department for a shipping quote. Why does shipping seem so expensive? The simple reason that shipping is so heavy on beads is that they are heavy. A case of beads can weigh anywhere from 27-45 pounds and shipping these cases to customers who live thousands of miles away can be expensive. How do I know if my order has shipped? What is my tracking number? If you provided a valid email address you will receive a shipping confirmation email that contains your tracking number. If you have not received a shipping confirmation email within 2-3 business days of placing your order please contact our Customer Service department at 1-877-450-5077 or sales@tooomeys-mardigras.com and they will be happy to provide you with your tracking number. Ground shipping takes 1-6 business days to the U.S. Expedited shipping is also available. Sure! The billing address and the shipping address do not have to be the same. The billing address must match your banks records however. Do you ship to Canada/Overseas? Absolutely! We offer UPS Worldwide Expedited and Worldwide Express for Canadian and other overseas orders. These orders can be submitted on our website. When your order is placed an order confirmation page will be displayed. Your order number can be found on the top of this page. We recommend printing this page out for your records. To add items to an existing order you can email us at sales@toomeys-mardigras.com and we will be happy to assist you. Use "Add to Order" as the subject line of the email. Please include your billing name and address, the item number, description, and quantity of the additional items desired. Do NOT include credit card informationâ€”we will bill the same credit card as the original order was placed on. Please note that this addition must be made before the original order is shipped out. If the original order has already been shipped then we will contact you before shipping out a second package. If you need to cancel an order you can email us at sales@toomeys-mardigras.com. Please type "Cancel Order" in the subject line. In your message please include the billing name and address as well as the reason for cancellation. You can also contact us by phone at 1-877-450-5077 as soon as possible and we will make every effort to cancel your order. The cancellation must be received before the order is shipped. Once an item is shipped you must return it at your own expense. Please contact our friendly Customer Service department at 1-877-450-5077 or email us at sales@toomeys-mardigras.com. Please provide your name, order, number, address, the date the item is needed by and details of the error (i.e. Did you receive the wrong item in addition or instead of items that you did order?). We will instruct you how to proceed in correcting your order and assist you in returning the original shipment. Please visit our locations page by clicking here. At Toomey's Mardi Gras, your satisfaction is our number one goal. However, in the event that you have concerns regarding any part of your order the following needs to be noted by you the customer. Upon arrival you should immediately inspect all packages for any potential damage. If you find damage, you should report it to us immediately by phone and email. Please be sure to include all of your customer information, including billing & shipping information, order date, and the nature of the damage. Email: sales@toomeys-mardigras.com Phone: 877-450-5077. Also, you must keep the packaging, (including box and packing materials) to give to UPS for inspection. Do not throw this material away or else there will be no way to recoup losses. Unauthorized returns are subject to a 25% restocking fee, if we choose to accept them. However, if you send us an unauthorized return and it is not clear why it is being returned or is not in acceptable shape (No matter whose fault it is) then we will refuse the return and hold your package for up to 30 days while we wait for you to send a call tag or pay for return shipping. After 30 days your items will be considered unclaimed and discarded. 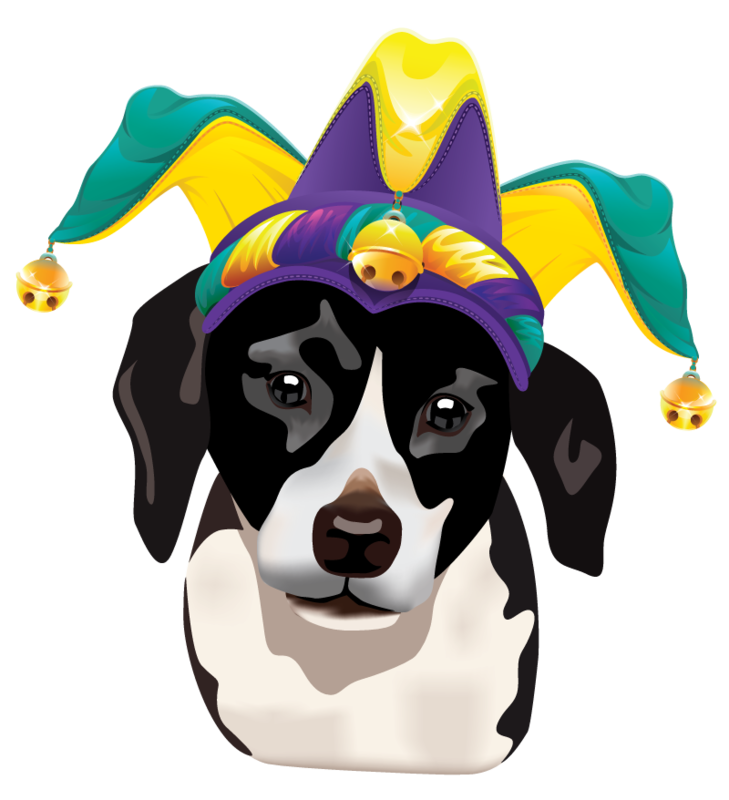 Toomeys Mardi Gras is not liable for any package or shipment sent to us from you. Toomey's Mardi Gras reserves the right to refuse any return at our own discretion. For any return to be accepted, there will be a 10% restocking fee along with a minimal of the following conditions met. Your request for return should start with a phone call to us and then be emailed to us within 14 days of receipt of your shipment. The email should include all of your order information along with the reason for requested return. The items have to be unopened, cannot be an apparel item, cannot be an edible item, and has to be a regularly priced item, no clearance, sale, or discounted items are accepted for return. Customer is responsible for any and all costs associated with shipping the items back. The customer is also responsible for any damaged or lost items during the transit back. Once your items have been received and approval finalized, your refund will be issued back to the same form of payment used for purchase in the amount of the product only, less the 10% restocking fee. Shipping charges are non-refundable. Credit card purchases have to be credited back to the same credit card. Any payments made to us by check or money order will be refunded by company check. For any other payment methods or unforeseen situations the default form of credit will either be by company check or in store credit. Once your request for return is authorized, you will have 3 business days to provide us with a tracking number showing that your items have been returned to us. Failure to do so voids your return acceptance. Due to the high volume of business during our peak season, returns or exchanges of any kind WILL NOT be accepted for purchases between January 1st and March 1st. All sales are final on costumes, hats, masks, apparel items, Moonpies, and all edible items.